Thank you leman. I hope that my next conversions for french cavalry will turn out well too (austrian dragoons -> gendarmes de la garde). 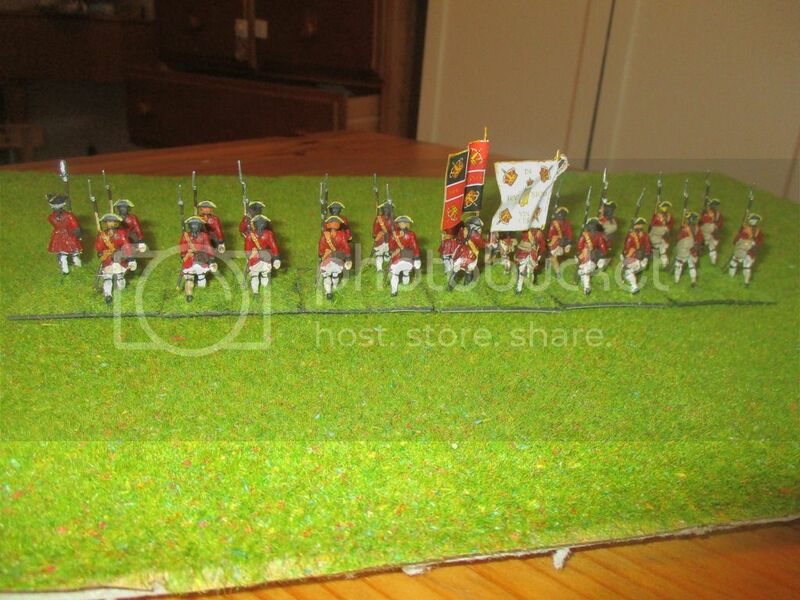 Now here comes the second irish regiment for my French army. 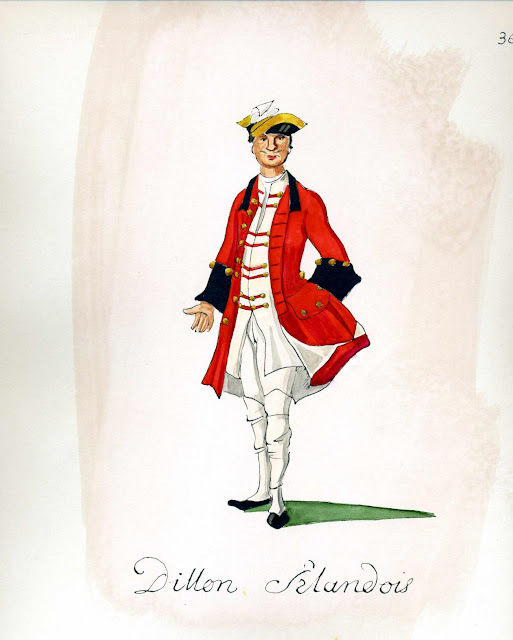 I've Chosen Dillon because this Regiment had a very interesting uniform. I followed the Picture by Gudenus. 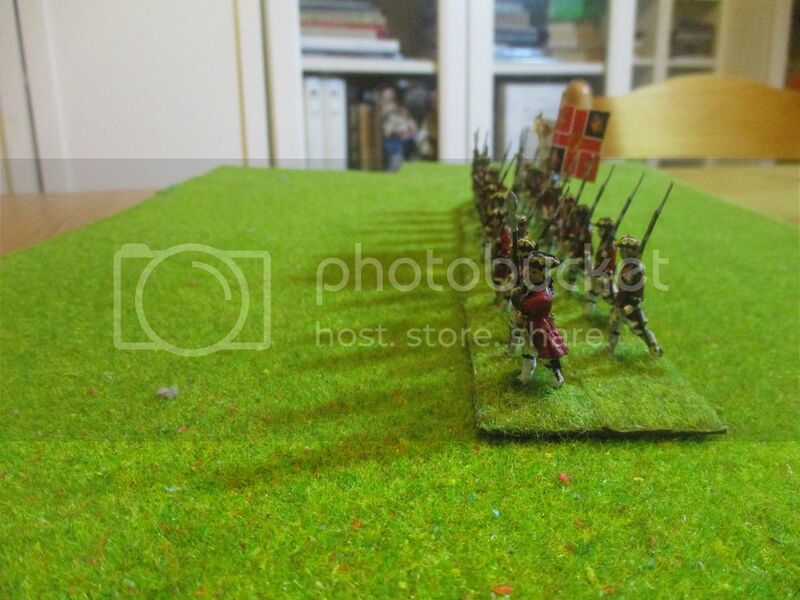 Because these two famous units of the maison du roi had only around 300 men on the battlefield (1/4 of the soldiers were always with the king), I deecided to give them 3 bases only. On the left with their flag: the Chevau-légers de la garde du roi. On the right: the gendarmes de la garde du roi. Difficult to make out, the gendarmes have a officer. The best vissible sign of his rank is the black waistcoat. The soldiers, all from the French Nobility, have all vestes in chamois. They were mostly famous for their defeat at Dettingen. Both squadrons suffered heavy losses there. It seams very unlikely to me that the quality of the units was the reason to raise them again so quickly. Indeed they fought without any success at Fontenoy again, where they attacked the english infantry along with the other units of the Maison du Roi present. 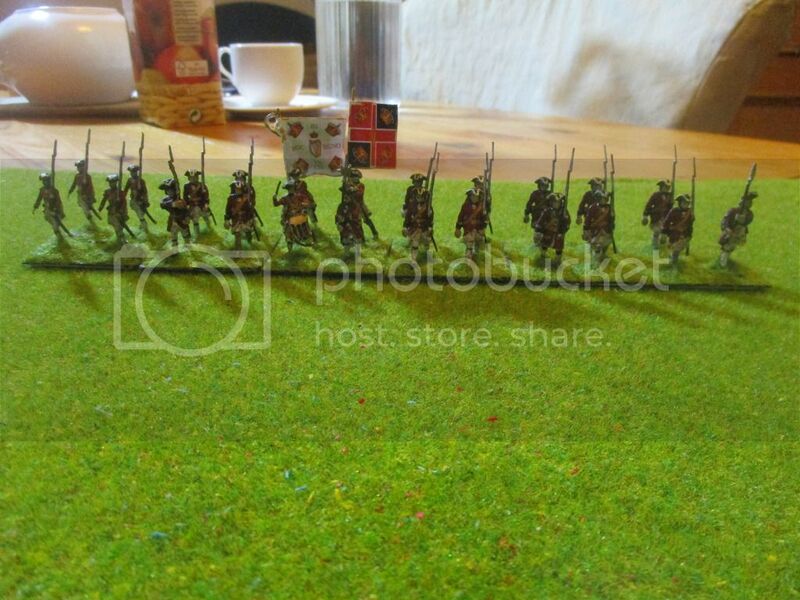 Although these units were not good fighting formations, they are interesting to paint. There are a lot of different sources. Many pictures show different versions of the uniform. 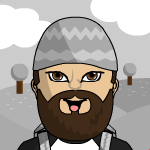 I prefered the Pictures by Delaistre. Last unit of French horse for a while. Both companies of the famous musketeers as one small unit because there were 300 men only in the field. A very nice cavalry squadron. Next French unit will be the last exotic unit for a long time. My 6th french bn. - this time a standard size unit (4 bases). Miniatures are from Hagen Miniatures. A maréchal with his bodyguard from the Guard du Corps (1er comp. francaise). 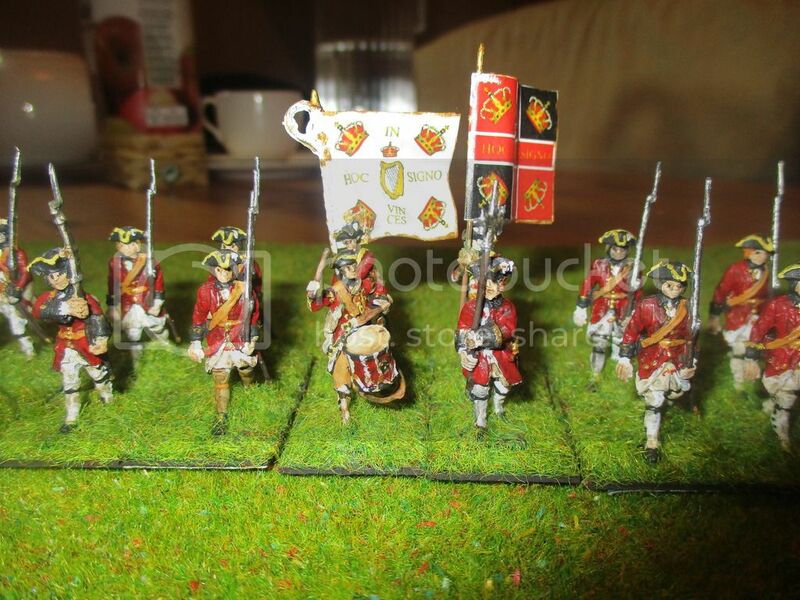 The maréchal war originally artillerymen from Revell. The horse is from Zvezda and the horsemen was a dragoon from Revell. Very Inspiring! The light infantry are especially good - nicely arranged. I do not know Hagen Miniatures - how do they compare with older 25mm figures? The size of the figures is around the same of minifigs. Unfortunately, I don't know other old british figures in this scale. I really like the look of the French army, but currently I'm working still on the Prussians and Austrians, with an unpainted Russian army yet to start. I think the French army is the army full of bling-bling. The army of real contrasts. Very simple uniforms and rich uniforms full of gold and silver. If you have the gendarmarie de France and the Maison du Roi on the battlefield you will always have a eye catcher. If you play completely historicaly you will not have most of fhese elite troops when you game the syw.